Promoting the lesser-known facts about the industry, the Outdoor Media Association’s (OMA) industry campaign launched on 30 December across the nation on our members’ signs: Adshel, APN Outdoor, Bishopp, Executive Channel, goa , iOM, JCDecaux, Metrospace, oOh! Media and Paradise Outdoor Advertising. 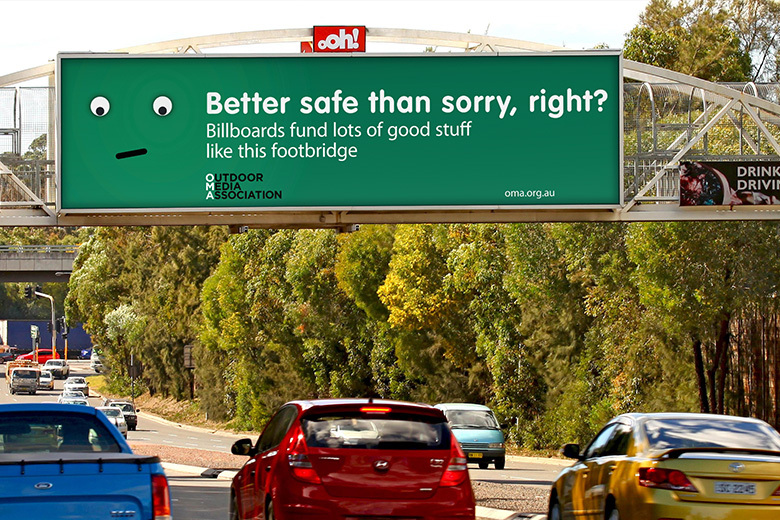 Over 600 ad faces in the ACT, New South Wales, Queensland, South Australia and Victoria displayed bright colours and cheeky faces, talking up the community benefits of Outdoor advertising (see photo gallery here). “Outdoor advertising is the only media that gives back to the community in this way, subsidising public amenities, including bus shelters, public toilets, park benches and transit infrastructure, as well as contributing to council fees and superannuation,” said Charmaine Moldrich, CEO, OMA. According to MOVE, over 6.8 million people saw the campaign an average of 5.7 times. Sydney boasted the most faces reaching over 2.6 million people, an average of six times; in Melbourne 2.3 million people saw the campaign an average of four times; and 1.5 million Queenslanders saw the campaign eight times. The OMA launched on Facebook in tandem with the campaign, using the colourful faces to spread the word across social media. “We are really proud of our commitment to community and are excited to promote it on our own channel. The campaign has been a great way to kick off 2014, and, combined with our 7 per cent revenue growth in 2013, gives us an excellent start to the year. A big thank you to our members who generously donated advertising space, printing and installation to make the campaign possible,” said Moldrich.